On the back of National Picnic Week we're scoffing scotch eggs and heading off to Bucks & Oxon's 20 top picnic spots. Last week’s National Picnic Week continues all summer on Muddy Stilettos! A beautiful wicker basket with delicious bites, fizz and mouth-watering desserts or a glorified packed lunch with mountains of Tupperware and stodgy sausage rolls? 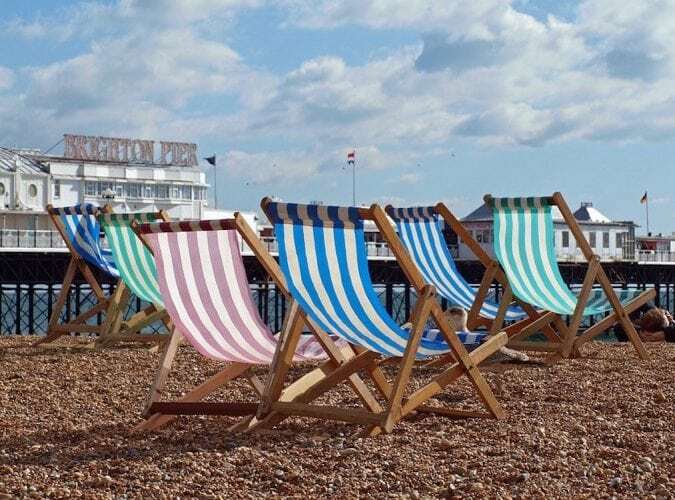 Fear not, our Muddy guide to lovely picnic spots will at least ensure the location is perfect. Ticks all the boxes for the stress free picnic option. Lovely location by the river with plenty of grass for your spread, plus a large play area for kids (all free but there is a parking charge). You can buy freshly made pizza from the café or nip to the high street for supermarket options. There’s usually an ice cream van in situ too. Once full up with mini Scotch eggs and sandwiches, take a walk along the river path and ogle the beautiful riverside houses with their private moorings and boats. 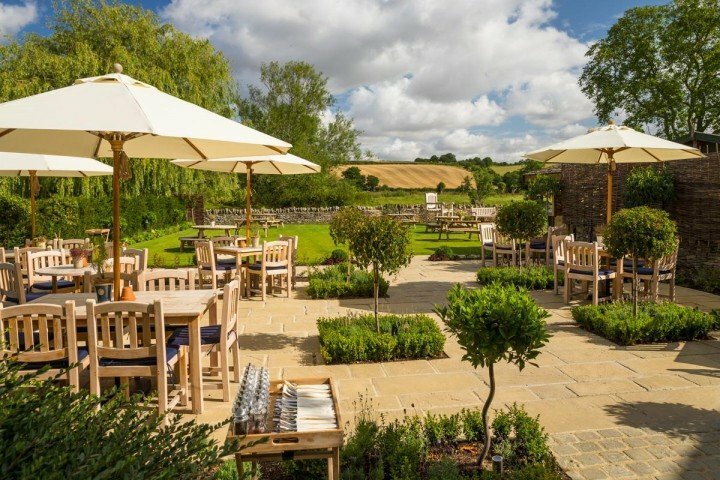 For a more freeform (and free) experience, canal side walks near Kirtlington offer numerous spots to have a picnic in the beautiful Oxfordshire countryside watching the narrow boats glide past, but it’s the old quarry that is Muddy’s fav. Now a nature reserve, there’s a large open flat area that’s ideal for picnics, plus plenty of pathways through the wooded areas where you can scramble around with the kids/dog/on your own and feel at one with nature. 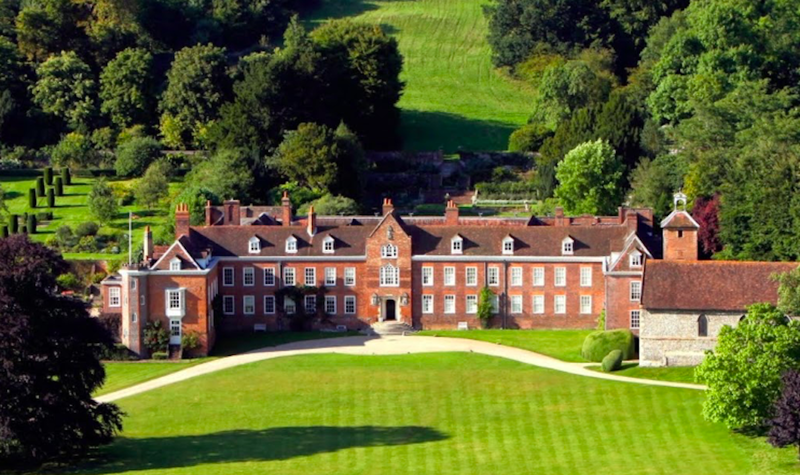 Home to Florence Nightingale and almost entirely 18th century, Claydon House was built to rival nearby Stowe. The house and gardens are on a less grand scale and in many of the rooms you are encouraged to sit on the furniture (you can even lie down on Florence’s bed!). The parkland with lakes surrounding the house are lovely for picnic-ing (tickets for grounds are £6 for adults and £3 for children). Sometimes a picnic just won’t cut it and a full on BBQ is required. 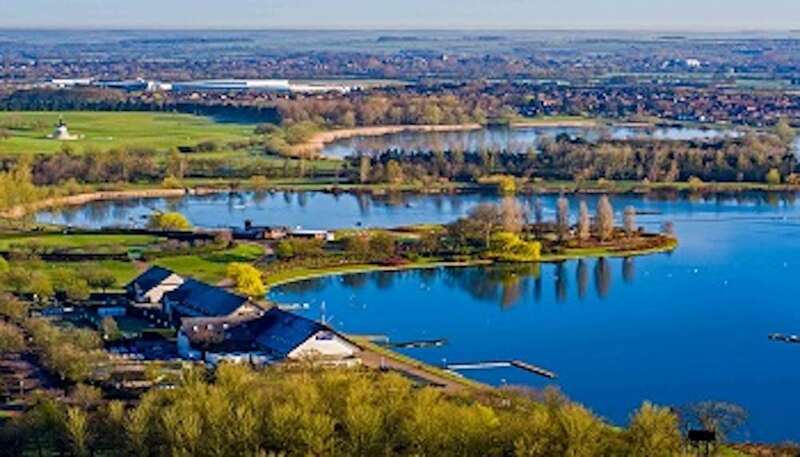 Willen Lake, with its numerous water sports plus land based activities like tree climbing and archery, has a designated BBQ area with barbecue stones provided on which to place your disposable barbie. You can picnic if you prefer and it’s all free to visit but you’ll need to pay to park. Another ginormous lake with designated picnic areas with tables so you don’t have to get all down and dirty on the grass. With over 500 acres of woodland, heathland and open spaces it’s a great spot to exercise the children and get a nature fix, plus you can hire bikes and pootle about for hours or try out the Go Ape on site. Another freebie except for parking costs. A beautiful fortified Manor House dating back to the 1300s and owned by the Fiennes family (Ralph, Martha etc), Paying visitors (£5 for the grounds, £9 castle) are welcome to picnic in the park but if you’re arriving before they open at 2pm (so unable to show your tickets to staff) you need to email in advance for written permission to picnic. Worth it though, this place is a stonker, and a worthy setting for the brilliant adaptation of Hilary Mantel’s Wolf Hall. The water meadows around this lock are gorgeous. You can take a wander to Abingdon Bridge which was originally built of stone in 1416. Also not far from the lock lies Andersey Island and mediaeval Culham Bridge. 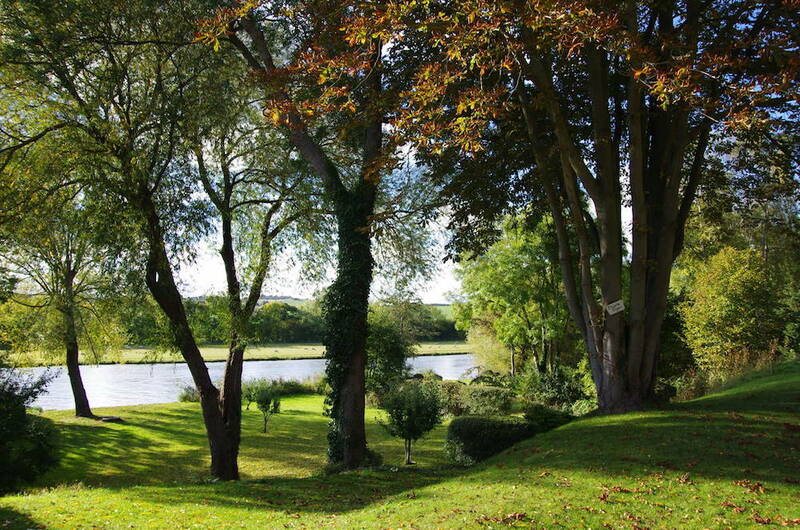 Numerous spots to put down your picnic blanket and enjoy the meadows and life on the water as the boats pootle by. The highest point in the Chilterns is a great place to picnic on a summer’s day where you’ll find grassland filled with wild flowers and butterflies. In the winter, be prepared for a blast of fresh air that will knock your socks off. There’s a gentle one mile circular walk with panoramic views across the Aylesbury Vale and Chequers, or if you’re feeling really energetic you can do a 10 mile walk taking in Whiteleaf Hill and a much closer view of Chequers (bring binoculars). 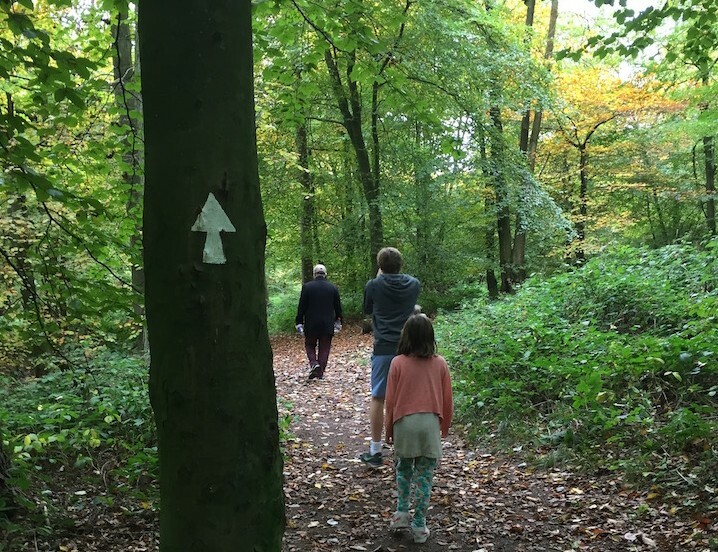 There’s a great choice of circular walks starting at the National Trust car park on Watlington Hill through woodland, fields and hamlets around Christmas Common. Choose from 2.5 mile, 3 mile or 6 mile routes or combine all three for a longer walk and end with a picnic on Watlington Hill with a view over the Vale of Oxford. 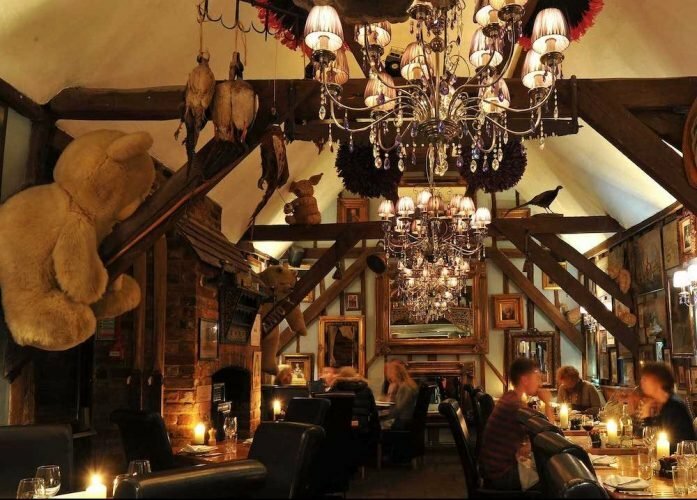 If you don’t fancy a picnic you can always head to the Fox and Hounds pub in Christmas Common or Muddy Award winner, The Granary Deli in Watlington. Hobbs of Henley cruise the 1 mile 550 yards of the Regatta Course from its finishing point by the bridge in the town centre to the starting point at Temple Island, continuing downstream to turn at pretty Hambleden Lock. Rowing boats and launches can also be hired from Hobbs of Henley’s boathouse in Station Road. Three seater rowing boats start at £75 for a whole day but there is a huge range of boating options. If you really want to push the boat out (sorry! ), you can order a fancy picnic through Hobbs starting at £20 a head (excluding drinks) but for a more reasonable option the Henley Tea Rooms, just yards from the boathouse, will make up a picnic. 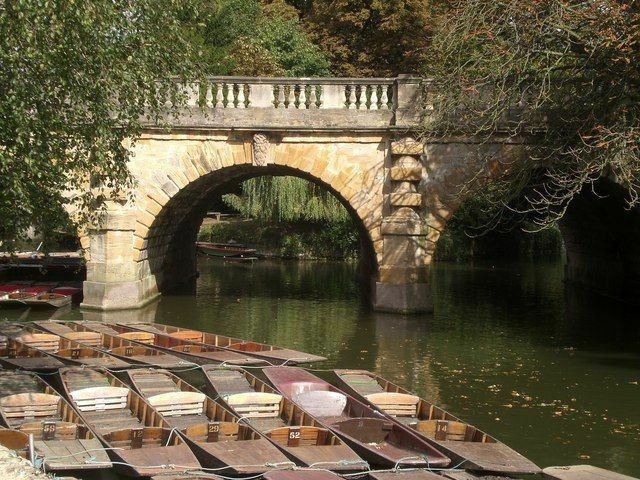 Hire a punt for up to 5 people at £22 per hour (rowing boats and pedalos also available) and fingers crossed you can watch your husband mess up with the pole and fall in the water (oh, just me?). South from the boathouse you’ll glide gently past the Botanic Gardens, through Christ Church College Meadows beofre you either take the river left past St Hilda’s College gardens under the miniature white bridges and back past the Botanic Gardens to the Boathouse. Or continue south towards the Isis, along the entire Christ Church Meadow to where the river opens up. If you decide to travel north from the Boathouse, you get to drift past Magdalen College Tower and up past the Angel and Greyhound meadows, past Magdalen College gardens and into the countryside. The Boathouse shop has snacks and drinks to take with you or bring a picnic and stop off when you see a lovely spot. Plenty of space to sit and enjoy your own picnic and admire the parterre, formal gardens and woodlands that surround this French Chateau style Manor House, or you can buy sandwiches and snacks from several kiosks (in addition to the restaurant in the Manor and at the Stables). If you want to save money on the grounds entrance fee (£12 adults, £6 children), you can stay near the park entrance and set up camp. Round Hill and Castle Hill make up the clumps which are steeped in history (Roman, Bronze and Iron Age) and an inspiration to poets and artists, such as Paul Nash who painted them many times. You can ramble up them and between them and take in the ancient trees, wild flowers and spectacular views before finding the perfect spot for your picnic. In an otherwise flat part of the Thames Valley, they’re also great for sledging in the winter. 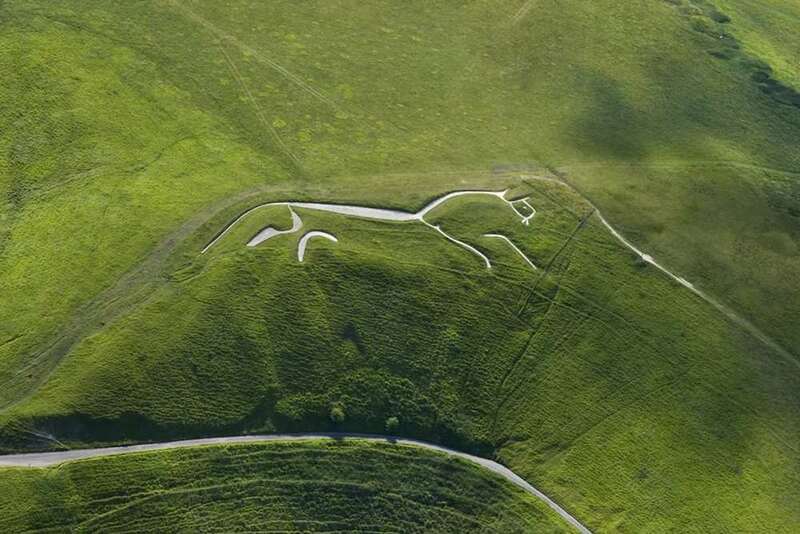 A druid hotspot at this time of the year, the ancient white chalk horse carved into the hill is a breathtaking sight. Next to it is Dragon Hill, the mythical location (one of many) of the slaying of the dragon by St George. The blood was so poisonous that the the grass on the top has never grown back. A more plausible explanation is that is was a site of pagan ceremonies involving fire and sacrifice. The only time I’ve walked up it was on a New Year’s Day with a hangover and no sleep but the views made up for it and my kids loved the stories. Boom – a magical spot for a picnic. Great for wooded walks but there are also some open areas where you can picnic, plenty with views. BBQ stands are available free of charge so you just need to bring the charcoal and food. Cycling and treetop climbing are also on tap and if you want to work off the meat fest, there’s an adult assault course. Hmm, no thanks. Soooo pretty here, my kids absolutely loved it. Many of the trees are several hundred years old, and it’s no wonder this ancient woodland is a nature reserve. Plenty of picnic tables, a cafe and many pathways through the woods, it’s also a favoured Pinewood filming location for Harry Potter, Goldfinger and the like so keep your eyes peeled for a film crew. Another National Trust treasure in our area, this grand home of Benjamin Disraeli has the usual walled gardens, formal parterre and pleasure gardens that we expect for our money but you can ignore all that and spend a pleasant time picnic-ing by the clear stream at the entrance to the estate. Ok, so technically it’s in Herts but it’s another high point in the Chilterns Area of Outstanding Natural Beauty to which we can lay claim. There’s a car park close by if you don’t fancy too much walking and with nearly 360 degree views over Bucks, Beds and Herts it has ‘picnic spot’ written all over it. 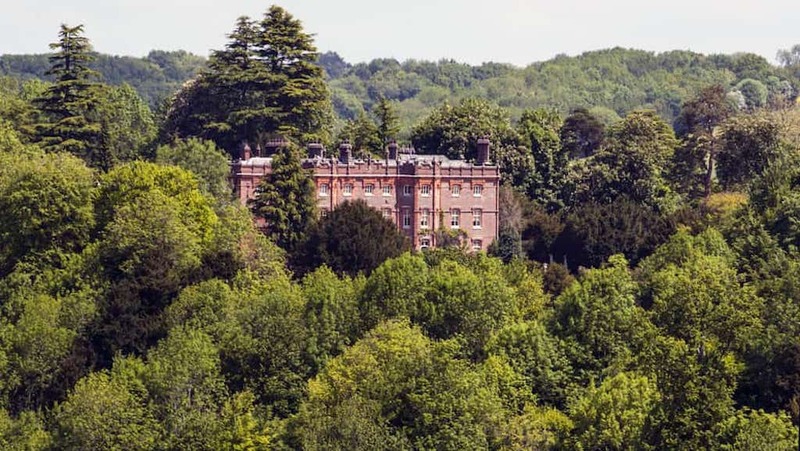 A beautiful setting with designated picnic areas, this lush parkland has 3 gardens – a 17th century Italianate pleasure garden with ponds and fountains, an old kitchen garden and an arboretum. The open parkland is home to an ancient herd of fallow deer that have provided venison to kings and queens for generations so watch where you place your picnic blanket. The Wonder Woods offers an extensive adventure playground with plenty of picnic tables and a cafe to keep the kids entertained (£6.50 for adults, £5.50 children). In the 18th century, the powerful Temple-Grenville family chose to create an idyllic landscape filled with temples. 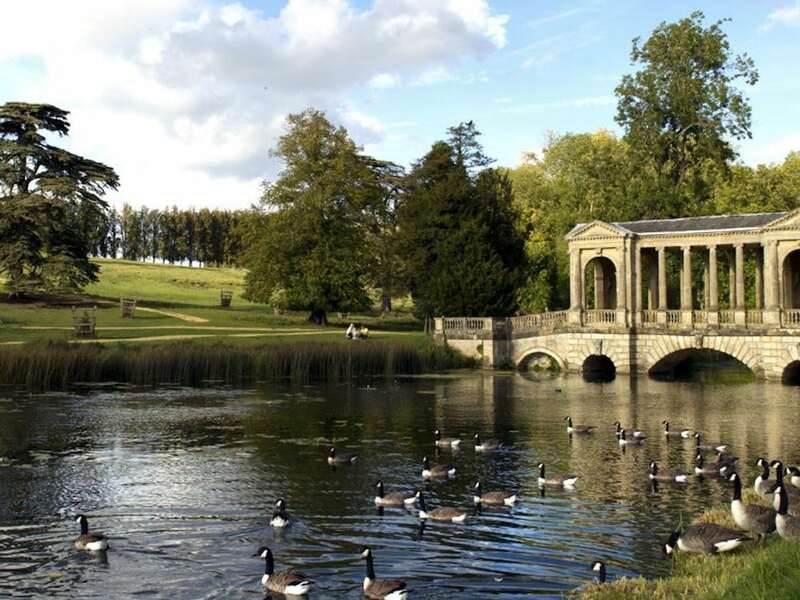 Amidst these enchanting gardens, they built the most lavish temple of all, Stowe House. 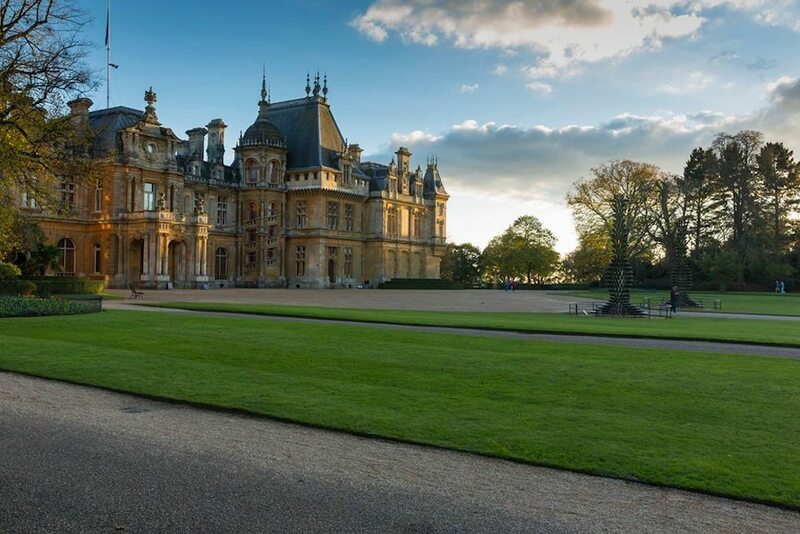 So if you’re after a picnic with class, find a spot amongst these awe-inspiring buildings and get out the hamper (entry to the grounds is £12 adults, £6 children). I think you missed out one of the best picnic spots, Watlington Hill, Oxfordshire. Fantastic views, bio-diverse chalk grassland, with some other worldly yew woods to walk through as well. Enjoy watching the Red Kites swooping and gliding but please do not feed them or leave food for them. thanks for highlighting Watlington Hill. I’ve tweaked the copy under Christmas Common. Perfect day for a picnic and all week apparently. Enjoy the sunshine! The far-reaching views from the grassy common around Brill windmill at Brill, Bucks make for a fab spot to picnic as does the field next to the Thames at Buscot Weir, Oxfordshire. The weir, is of the gently, terraced, waterfall-type which spills out into a large pool area – perfect for wild swimming. Yes, love Brill and must try Buscot Weir. 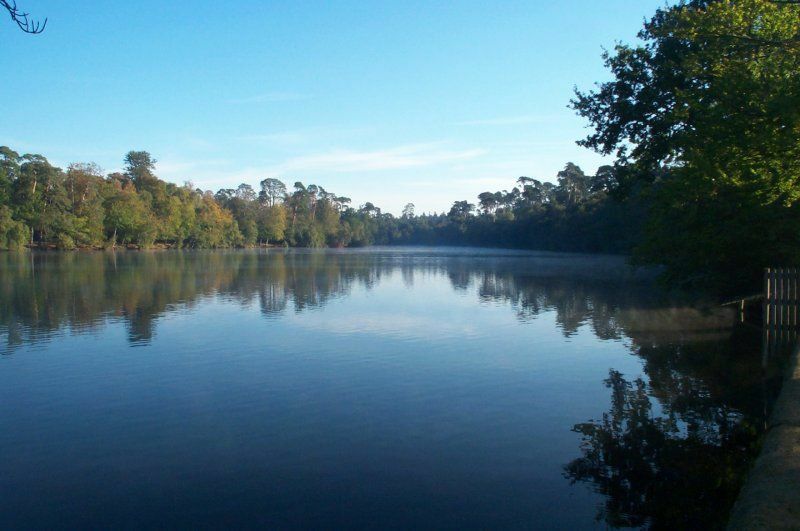 Wild swimming sounds very tempting in this weather. Thanks for the suggestions. Don’t forget Blenheim Palace. It’s free if you sneak in via the gate opposite the Black Prince in Woodstock. I can thoroughly recommend the side of the lake opposite the bridge…..especially on the Nocturne weekend (one for next year) where you can watch the concerts for free and swig champers in the sunshine. 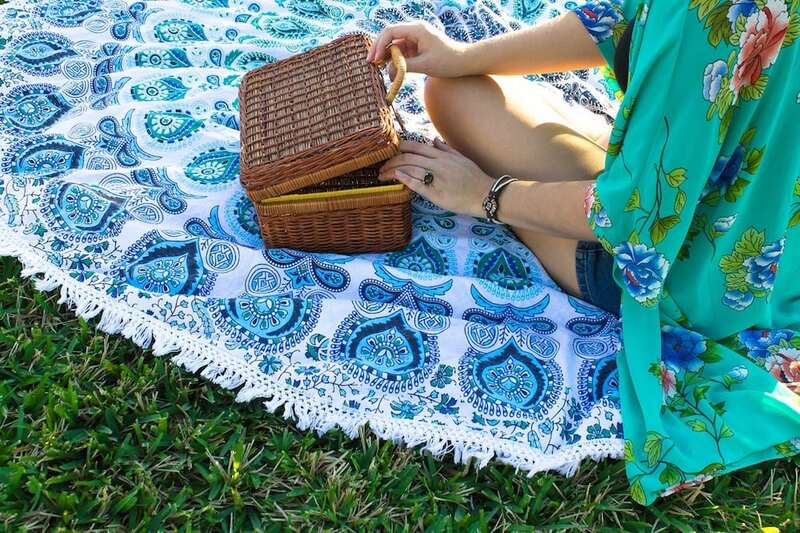 Take a picnic blanket though to avoid the goose poo. Loving the sneaky free concert tip! Thanks so much. Will make a note for next year. Thanks Sue. 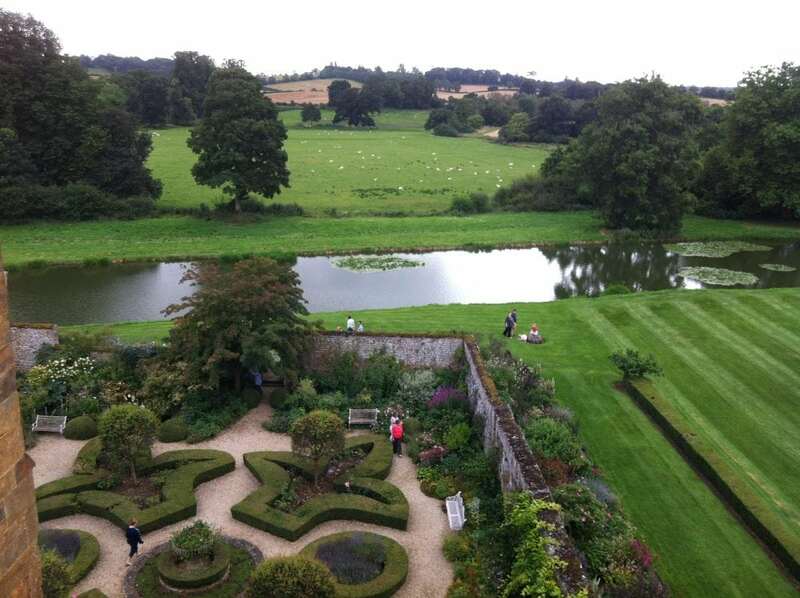 We are indeed very lucky to have so many gorgeous National Trust properties to enjoy in Bucks/Oxon. Day at the beach, anyone?